Bike obsessive, American truck fan and lifelong car-lover. French electro-pioneer and expert knob-twiddler Jean Michel Jarre knows a thing or two about sound quality and since he teamed up with the Parisian Music Life Company in 2005, the partnership has produced some seriously radical audio tech. The AeroSystem One is the result of said partnership and its speaker set-up features an integrated electronic circuit for signal processing that had been specially designed to simultaneously reproduce both the bass and treble lines with optimum precision. 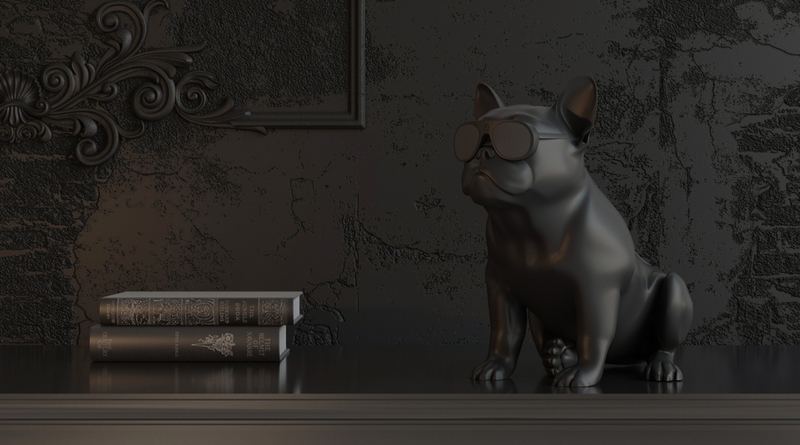 However, not happy with simply creating some stunning and very complicated-sounding products, Jarre and his team wrapped the technology in some very interesting designs, including skulls wearing shades and equally hip French Bulldogs. 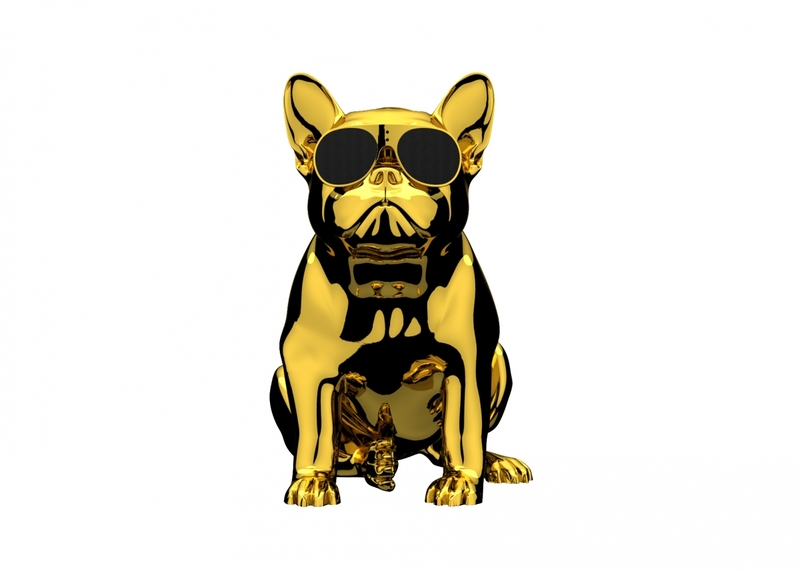 The AeroBull Gold HD1 wireless Bluetooth speaker is the absolute boss dog of the range and this limited offering, numbered from 1 to 99, costs a staggering £3,888 and comes decked out in chrome gold. The technology inside its glitzy innards offers 200 watts of power output, a 2.1 amplifier and the ultimate Digital Sound Processing algorithms bespoke to Music Life, which are said to deliver gut-rumbling bass notes. For those on a slightly tighter budget, there’s the AeroBull XS1, which pumps out 120 watts of musical mayhem, is limited to 199 units and costs £2,000. 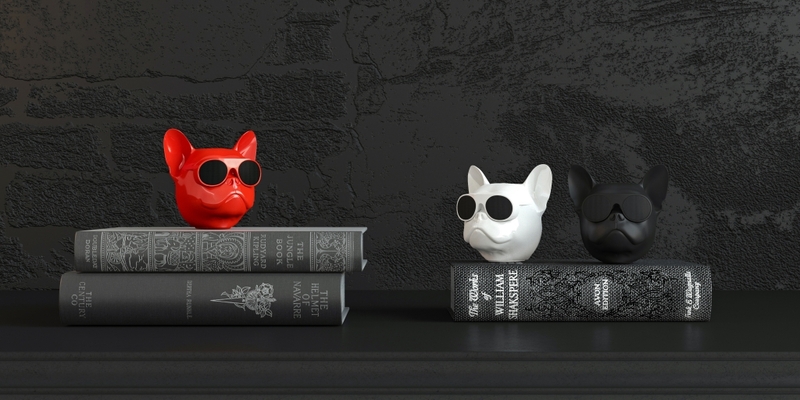 Alternatively, if you simply fancy your tunes blasted from a dog’s head but don’t fancy re-mortgaging your house, you can look towards the small-but-still-cool AeroBull Nano, which is basically the HD1 and XS1 decapitated and downgraded to an output of 10-watts through two front drivers. 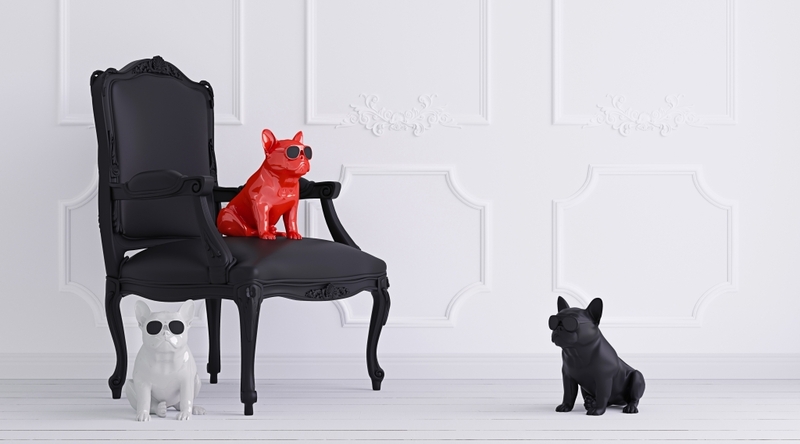 Available in gloss red, white or black, the AeroBull Nano features a rechargeable battery, around eight hours of power and a handy belt clip, so you can literally walk the dog. It brings a whole new meaning to sub-woofer. Sorry, not sorry.